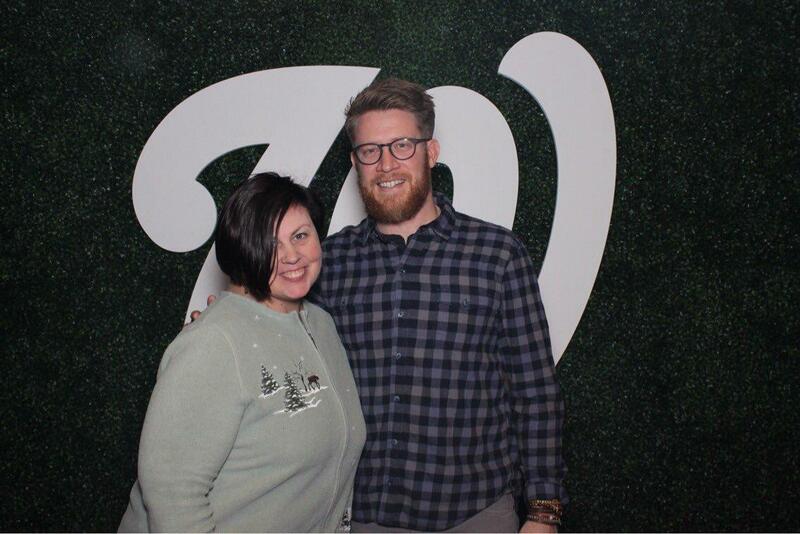 Last night I was honored to be invited to the Nats Clubhouse Social, a gathering of folks whose social media and blogging presence help the Nationals get more visibility. I’ve run a fan page for Jayson Werth on FB for 7 years, and was lamenting to a couple of people that I wasn’t sure what my next Nats social persona was going to be now that Jayson’s moved on. Fortunately, Nats pitcher Sean Doolittle was having none of that, and I got to joke around with him and his wife Eireann a bit. Proud to be a Nationals fan, and excited to be starting a new baseball project (to be announced!). In the meantime, I’m sure I’ll be blogging about baseball here a bit more now. People have often commented on how comfortable I am in speaking roles. Thing is, I have to know my material down pat. What most people don’t know is that I gave my first speech when I was 8 years old. I revisited this yesterday at Thanksgiving, spent with a friend. It turned out her dad had worked at the same place my dad had, though not at the same time. In connecting these dots, I realized that one of the things that made me know what year my dad had left that organization was that it was the same year I had given my speech. In sharing this, I date myself. But it’s an important story. The speech I gave was about my dad. You see, he has cerebral palsy, and that year he was working for the Commonwealth of Virginia in their office on developmental disabilities. There wasn’t an ADA back in those days, and my dad faced a lot of discrimination. 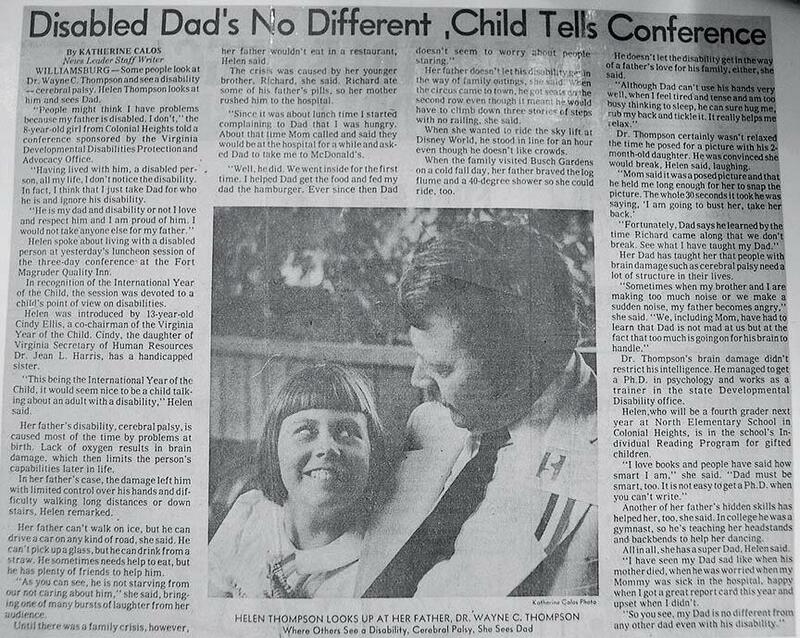 So it was no small thing to be a rising third-grader, standing up in front of a conference of 300 people convening to talk about disabilities and tell them that my dad was awesome. We cheered with him when the ADA was passed but we still have a long way to go with regard to seeing people for who they are rather than what condition or disability they have. My dad still is no different from any other dad. I’ve been working on getting my marketing chops back up to snuff as part of my “summer homework” and when I realized how much was out there, I started gobbling it all up! My current role doesn’t do much in the way of digital marketing so I thought it important to get back up to speed in case opportunities cross my path. But the lovely thing is that these tests are confirming to me that while these processes may have technologically evolved a bit since the last time I did this kind of work, the fundamental principles of marketing and even many of the methodologies are still very much important. This is the first of several online certifications I’m currently working on with a goal of achieving fluency in Google, Facebook/Instagram, and Hubspot after a few years away. Little will be one of three Temple faculty members to receive the University’s prestigious Great Teacher Award on Thursday, April 8, during a Faculty Awards Convocation at Mitten Hall on Temple’s Main Campus. Little graduated from Temple’s James E. Beasley School of Law with honors in 1985. After her graduation, she secured prestigious clerkships for a U.S. Court of Appeals judge and at the Supreme Court for the Honorable William H. Rehnquist, Chief Justice of the United States. During her studies at the University, she met her husband, Richard Barrett, who is an assistant U.S. attorney prosecuting transnational crime and an adjunct professor at Temple. Despite the cramped quarters, she is enjoying her experiences in Asia. In Japan, she is teaching American J.D. students and Japanese lawyers who want to earn an American law degree and take the bar examination in the United States. “Some of the Japanese lawyers are very well-established in their careers; I teach several CEOs and managing directors of information technology companies,” Little said. “I would describe nearly all my students here as self-starters, all of them having mustered the gumption to find themselves in an American law school classroom in Asia. Little is no stranger to recognition by her students and peers. She has won the George P. Williams Memorial Award for Excellence in Teaching three times, in 1993, 1997 and 2001. That four-year interval is “not a coincidence,” according to her nomination packet. She also has received the Lindback Award for Distinguished Teaching, and the Friel-Scanlon Prize for outstanding scholarship. When Little is in front of a classroom, she is acutely aware of what it is like to be a student, she said. By putting herself in her students’ shoes, she is better able to convey to them what they need to understand difficult but important foundational concepts in her regular courses-Conflict of Laws, Federal Courts and Jurisdiction, Civil Procedure I (a required course for first-year law students) and Remedies. Dozens of students, alumni and faculty members wrote in to support her nomination, and they uniformly praised Little’s ability to get these difficult concepts across. As a Temple Law alumna, Little received recognition from her colleagues both as a teacher and, in some cases, as a former student. Little was modest about the recognition, as some of her colleagues and students predicted she would be. But she thanked everyone, and made special note of the influence of her colleague and former professor Robert Bartow in her teaching.